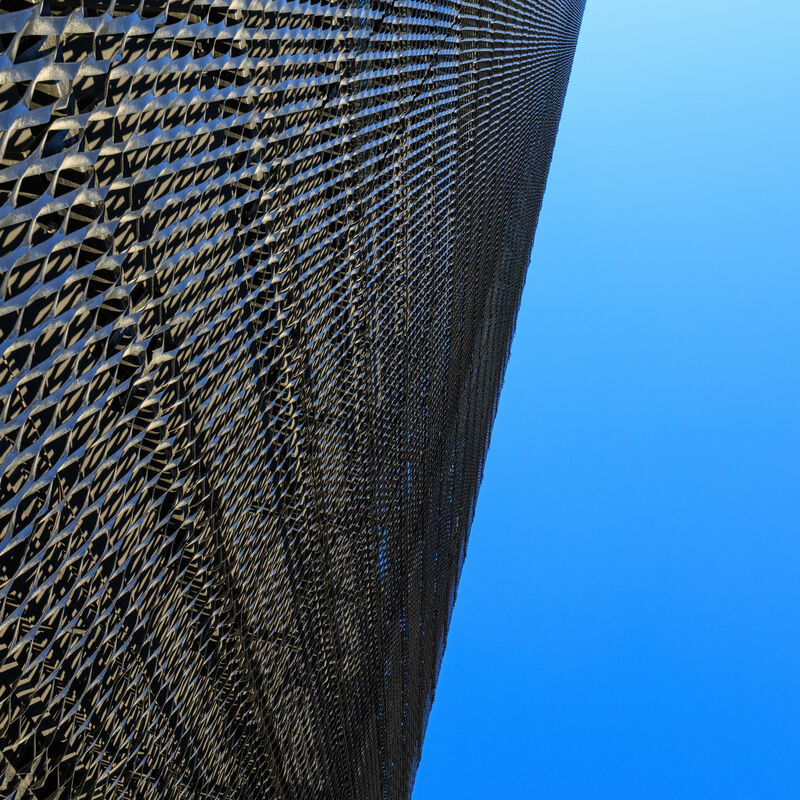 There are a wide range of membranes to choose from when designing a tensile facade. Exploring the tensile facade color options is a fun stage in the design process, but there’s more to it than simply considering the aesthetics. In addition to the visual appeal various colors could create, your decision impacts how the facade will perform when it comes to energy efficiency, visual transparency, and interior comfort. One of the greatest benefits of a tensile facade is its ability to make your structure more energy efficient. By blocking heat-inducing UV rays (a.k.a. solar heat gain), the building’s air conditioning needs are substantially reduced. Similarly, cooler climates may wish to choose membranes that offer more thermal protection and help to counteract the energy required for heating the building. The membrane’s color plays a large role in achieving your energy efficiency goals. This is because lighter colors reflect more of the sun’s hot rays, while darker colors absorb more of the warming energy. When considering the solar protection that’s best suited for your project, you’ll need to consider your goals, the building’s exposure, and the surroundings. For example, your choices could vary depending on whether the facade will have an eastern or western exposure, or if the building is in an urban environment surrounded by skyscrapers. Another major benefit of a tensile facade is how it improves the comfort and wellbeing of the building’s inhabitants. The transparent membrane creates an improved interior experience in a number of ways, including reducing glare, maintaining access to natural light, and protecting the view from the inside. It can also play a large role in creating one-way transparency – where people inside can see out, but those outside can’t see in. The variety of tensile facade color options and membrane types help architects and designers implement the solutions that are most integral to the project’s success. For example, a black-backed membrane will provide superior one-way visual transparency but may result in a slightly darker interior experience. At Tension Structures, we work with the most reputable and innovative developers of durable membranes. We believe this is essential in order to provide our clients with the options that are ideal for each of their unique projects. 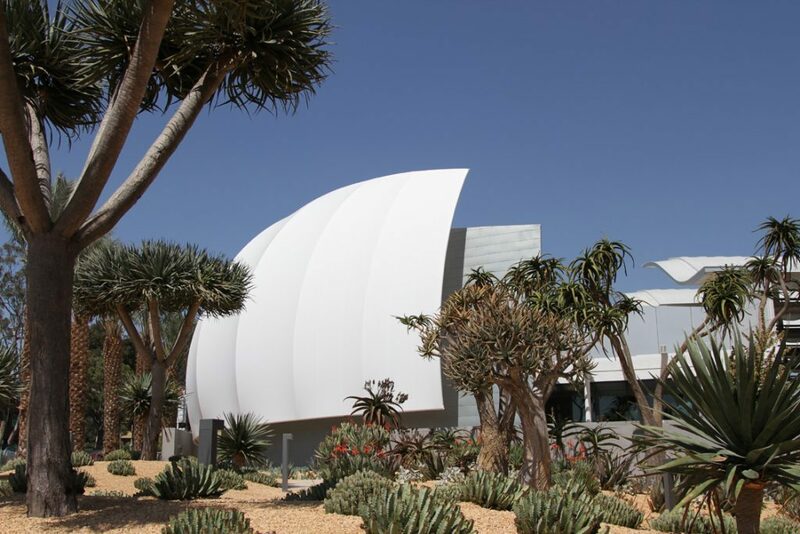 Together, we will work to explore all the tensile facade color options and membrane types, so you’re able to achieve your goals while maintaining your iconic vision. Are Tensile Membrane Facades Right for Your Project?